The world is a very different place out beyond the horizon. Right now, there are some 40,000 large cargo ships plying the world’s waterways and oceans, not to mention innumerable smaller merchant craft, all pulling in and out of ports, loading, unloading, changing out crews and cargos and steaming from one location to the next. In what can be a very murky world of shadowy ship registry offices, lengthy manifests and dockhands who change out faster than Barbosa’s crew, how all these ships come by their cargo, how that cargo is loaded, by what polyglot seamen and in what untamed ports, can be an amazingly scrambled and trackless story rivaling the Pirates of the Caribbean. Scenario: A single ship starts out in Singapore with containers filled with electronics, passes through Indonesia where it picks up spices, sails to Calcutta to load cotton, Port Said where it boards an Egyptian crew, Piraeus where it stops for fuel, Tangier where it picks up leathers, Scotland where it packs in woolen sweaters, and finally sets sail for Newark, New Jersey. Eleven million containers packed with such goods reach U.S. ports every year. Given endless time, customs agents could find all contraband. But, in the world of maritime shipping, time is the enemy. Try delaying a delivery, and you may face some rough characters down at the docks (think On the Waterfront). What's more, anything that hinders the swift transit of goods around the world can have a rippling effect on the world’s economy. MATTS -- Homeland Security's Science & Technology Directorate's Marine Asset Tag Tracking System -- is a miniature sensor, data logging computer, radio transceiver, and GPS tracking system integrated into a compact and inexpensive black box, about the size of a deck of cards. Affixed to a shipping container, MATTS can use its on-board GPS chip to estimate its location if the GPS signal is lost. And, in the final version of the system, containers outfitted with MATTS tags will be able to transmit through shipboard communications systems, even if they are placed deep below deck. The tag’s signal will “jump” from container to container until it finds a path it can use. Better yet, this black box stores its location history and reports it back when in range (up to 1 km) of an Internet equipped ship, container terminal, or a cell phone tower. At any point in a container’s journey, its history can be examined, and if anything has gone amiss, authorities know instantly to scrutinize that particular container. 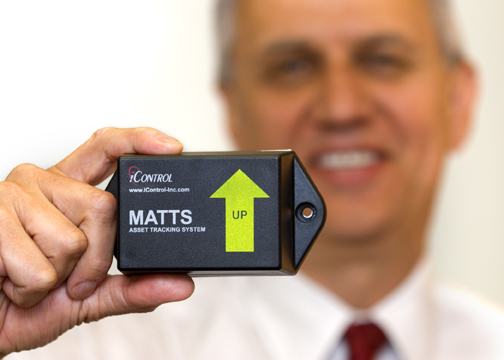 Ultimately, MATTS will be integrated with the Advanced Container Security Device, which will send an alert through MATTS when a container has been opened or tampered with on any side, providing even more security. “MATTS will globally communicate in-transit alerts to Customs and Border Protection, and this capability satisfies a high-priority requirement,” said Bob Knetl, program manager for the MATTS research within S&T’s Borders and Maritime Division. In late April, 100 MATTS-equipped containers started out in the Port of Yokohama, Japan, and are now making a trans-Pacific crossing to the Port of Los Angeles/Long Beach, where the containers will then continue by rail to the Rochelle, Illinois, Rail Terminal and be unloaded and trucked to the final destination. This test, ending in August, will demonstrate that the communications can be used internationally (in this case, by Japan’s Ministry of Land, Infrastructure and Transportation) and that transitioning to domestic drayage once portside in Long Beach also runs smoothly. MATTS was developed under a DHS S&T Small Business Innovation Research (SBIR) contract by iControl Incorporated, a small Santa Clara, Calif.-based company.